jnlp (java network launching protocal) is the Java Web Start file (also known as javaws). 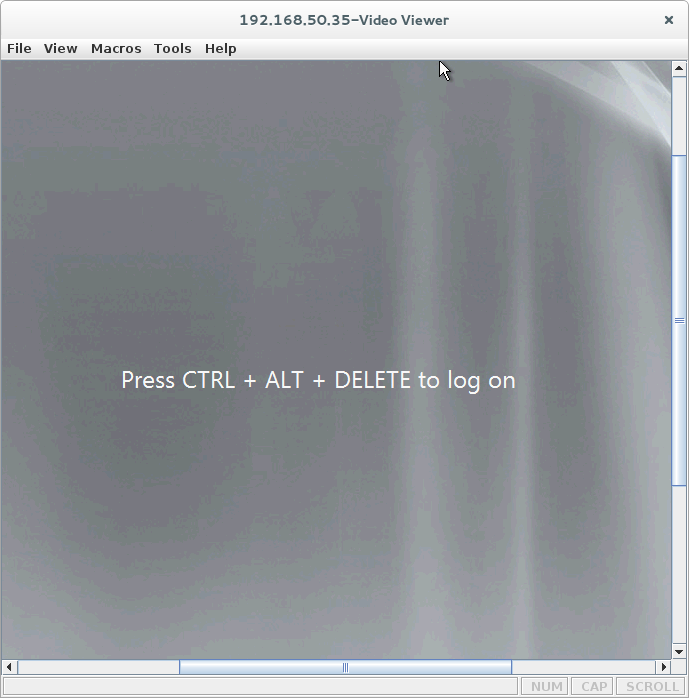 Many hardware devices’ (switch,router, servers…) remote control utility uses this technology. For example Brocade fiber switch management page, Cisco ADSM, IBM X3650 IMM.remote control. When you visit the management page via Chrome or Firefox in Linux. The jnlp file will be downloaded to your local drive. To run it, you have to run ‘javawc <jnlp file>‘. Sometimes, you may see ‘Application Blocked by Security Settings‘. 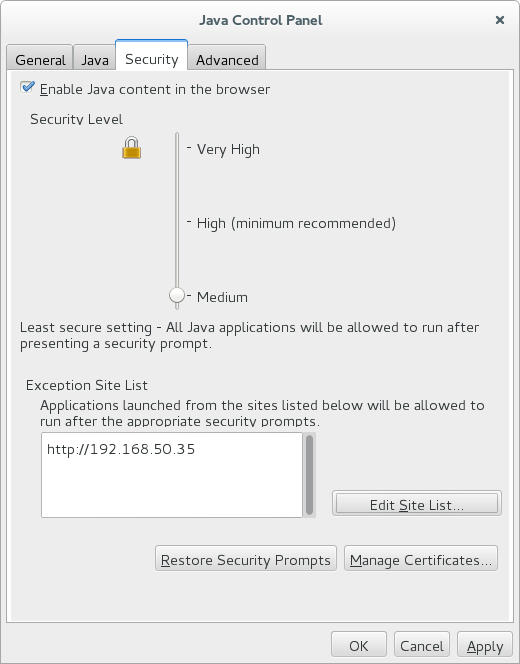 To make it work, you have to adjust the security settings in the java control pannel.